Pssst. 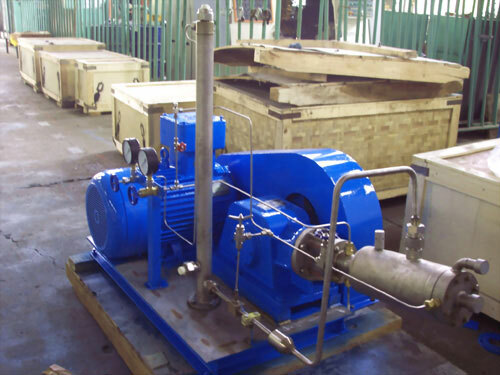 Do you want to buy a cryogenic centrifugal pump? Tonight we find out that Leonard and the physics department want one. And clearly it is big and expensive. A cryogenic centrifugal pump. Although the one Leonard needs is even bigger. It isn’t surprising that Leonard wants one. Modern physics experiments are often looking for extremely rare events. Maybe just once per year a dark matter particle might bump into a cold, pure liquid detector. Or perhaps once per year we might see an extremely rare radioactive decay that means something important to us. The problem is that physicists need to look at a lot of material for an extremely long time without being fooled. Physicists look for rare decays and events often by the small amount of light they emit. To do the job, we use what is basically a television camera. 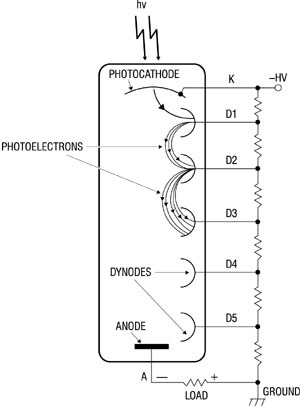 A small amount of light knocks an electron out of a metal called a “photocathode”. A careful array of voltages are set up so that the electron gains energy and hits another metal producing several more electrons. The process, called multiplication, is repeated until a detectable signal is present. In order to not absorb the electron the entire structure is put into a vacuum tube. The net result is called a “photomultiplier tube”. A "photomultiplier tube" is the workhorse of physicists. It turns light into an electrical signal. It works better when cold. The problem in looking for something rare, is that other processes don’t stop for you. The sensitive light detectors are so sensitive that they often emit electrons without being struck by light. These give false currents, even without any light, in a dark room. The unwanted signal is called a “dark current”. Making the detectors cold greatly removes this effect. But now you need to move a large amount, even tons, of cold liquids around. That’s the job of a cryogenic centrifugal pump. And while you are at it, you can remove the second source of noise: radioactivity. A centrifugal pump can push noble elements, like xenon, through small holes but other molecules are larger and can’t fit. But this is like the sieve in your kitchen lets the water through, but not the pasta. The key here is also adsorption. If a small molecule fits into one of the pores, then it is absorbed. A trick is to find a material that catches what you don’t want. 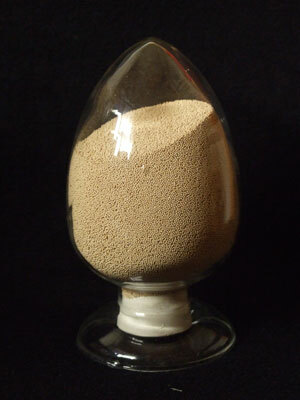 The material in a molecular sieve blocks all but the smallest molecules and atoms. Small versions of cryogenic centrifugal pumps are not terribly expensive. But university budgets are tight. Physicists like Leonard still want to find rare events and are now dreaming of detectors with a ton or even ten tons of pure cold liquid, such as liquid xenon and argon. For that they will need a large, expensive one. Besides, my comedy friends tell me, words with the “hard C” or “K” sound are funny. This entry was posted on February 10, 2011 at 5:20 pm and is filed under Uncategorized. You can follow any responses to this entry through the RSS 2.0 feed. Both comments and pings are currently closed. Somebody tell Raj that Tater Tots are French fry manufacturing waste – shredded potato skins and non-commercial potato fragments – plus the cheapest (edible) grease available that manufacturing day. Compare the latter’s annual phase angle with arxiv:1004.1761 Other heavy atom superheated liquid bubble chambers such as Juan Collar’s Halon and perfluoroalkanes are way cheaper. Experimental significance scales with cost. Replace perfluoroalkanes with I(CF3)7, boiling point around 0 C. How can physics go wrong with a molecule that has no static structure? Both iodine and fluorine are monoisotopic. Is Uncle Al some sort of Troll-Bot? All it ever posts is random physics buzzwords strung together in nonsensical tirades. Grants? My uni promises cures for everything that ails you! We slap bio- and nano- on top of everything. It works for everything but astronomy. *le sigh* Anywho, the point is, the more people looking, the better the change we’ll find something cool! a lightbulb is an electrical and electricity is made of packs of electrons, so it seems electrons are basic particles, and therefore, to find out about 1 necessarily informs on the others! It’s all connected. That’s why we need a CERN and other neat things like it, despite more immediate problems.